We are excited to be launching our new Dorich House Museum Studio Cafe in January 2019. Following preliminary discussions with designer Jasper Morrison’s team, we will be installing 24 of his brand new 1” Reclaimed Chairs alongside his versatile Super Fold tables. 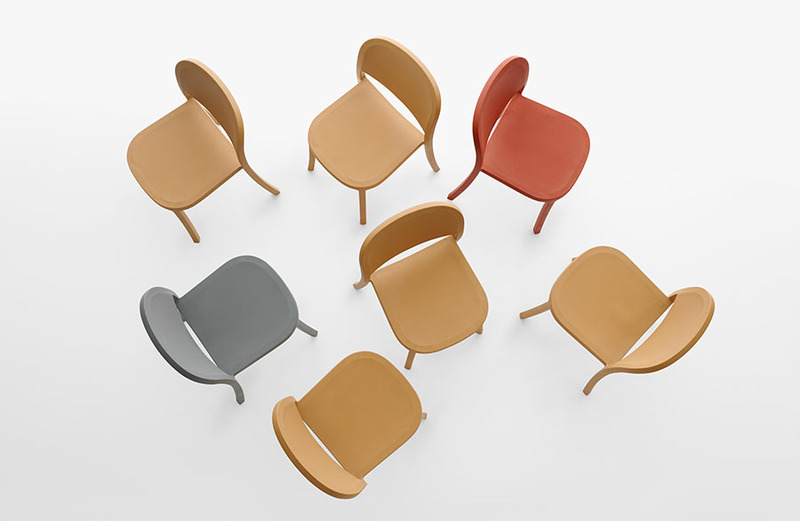 Jasper Morrison graduated with a Bachelor of Design from Kingston University (formally Kingston Polytechnic Design School) in 1982, then went on to study at the Royal College of Art in London. He has gone on to become a highly regarded designer who works on a global scale, designing furniture, lighting and diverse products from ironmongery to trams. With Morrison’s well-established international reputation as a designer, we are delighted to have his design input. Morrison’s 1” Reclaimed Chair was officially launched at London Design Festival in September 2018 at leading furniture manufacturer and retailer SCP. A timeless, simple design, using sustainable materials, Morrison’s chair for Emeco shows us that the material and engineering of a chair are critical design considerations. The one-piece mono-block stackable chair is made with 90% industrial waste material consisting of 75% polypropylene waste and 15% wood fibre waste. The combination of the aesthetic qualities of the 1” Reclaimed chair which will sit harmoniously in the Museum, along with the environmental credentials which sit in line with the Universities wider policy on sustainability, make this the perfect chair for the Museum’s new café. More news on our Studio Café opening to follow soon.